Boasting over one quarter of the countries entire population, Auckland is by far the biggest city in New Zealand and a great destination to begin your grand tour, so it came to my surprise when I learnt friends from London had no plans to stay in the city on their visit. Queue 9 Reasons Not to Miss Auckland When You Visit New Zealand. You might be confused whether you’ve flown into Auckland or somewhere in the Mediterranean when you set foot on Waiheke Island. With so many vineyards offering wine tastings and a outdoor dining experiences you can spend a whole day or even a weekend just hopping between them all. The best way to begin a tour of any new country is with learning a little about its culture and heritage and what better place to start than New Zealand’s first museum, Auckland War Memorial Museum. Modern and interactive exhibitions help to tell the story of our country and people. Then move on to Auckland Art Gallery which reopened it’s doors in 2011 having undergone major development on the original building. Viewing art is a joy in the fresh open galleries of this iconic architecture, burrowed beneath Albert Park. From world renowned labels like Karen Walker to lesser known local boutiques, you’ll find it all here in Auckland. Britomart is your area for high end brands, but if you’re after a little more variety Ponsonby Road has fashion and decor boutiques mixed in with upmarket second hand stores. Try Tatty’s for top labels at tempting prices. One foot in front of the other, crunch, crunch, breathe. Get in touch with all five senses as you follow one of the many marked walking tracks. Please make sure to stick to the tracks so you don’t get lost and follow the park instructions such as cleaning your shoes at track entrances to protect our Kauri Trees. With short nature trails, the Arataki Centre is a great place for newcomers to start. There’s always something magical about the moment you finally break through the trees in full view of Piha Beach and its majestic Lion Rock. Not far from the Arataki Centre, the salty fresh ocean air and ever-changing landscape are a great way to start or end any day. The areas around Britomart and the Viaduct Harbour are home to many big bars and clubs where you can get your dance on or simply dine al fresco in the afternoon sun. 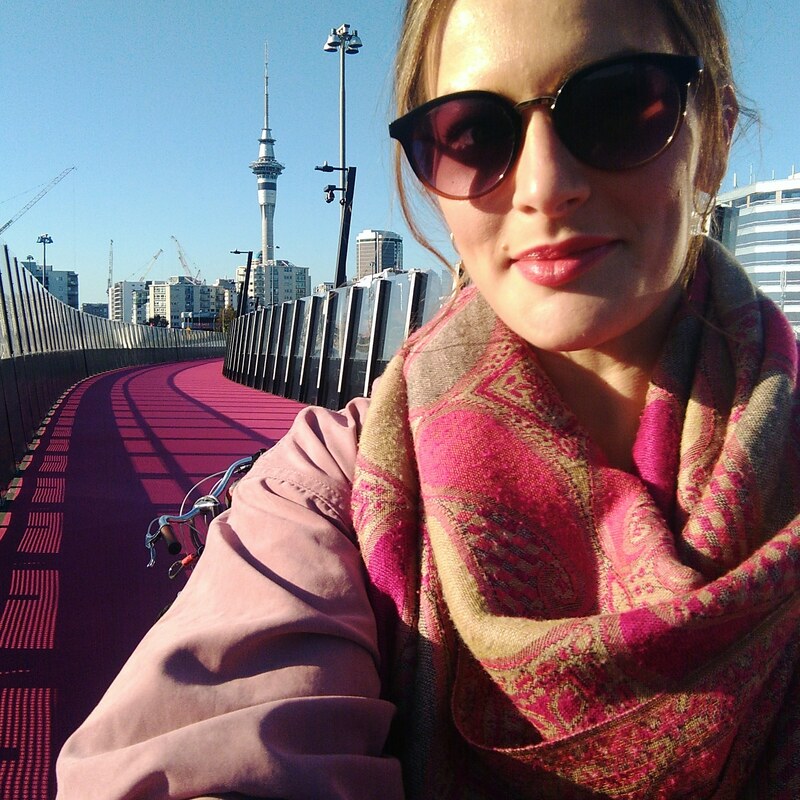 New York has the Highline, Auckland has the Lightpath – a bright pink cycle-way weaving through a part of the city locals call Spaghetti Junction. Close to inner city Auckland is the popular La Cigale French Market. During the weekend the French Cafe, Bistro and Shop opens it’s carpark up to an array of diverse cuisines for your culinary pleasure. If you’re on your way up north or you just have a little more time to go further afield, Matakana Farmers Market is a delightful way to spend a Saturday morning. You’ll have to be up bright and early to catch this one as it is about an hour drive north of the city centre, but a great morning trip it is. No one does coffee quite like the antipodeans and Auckland is a great place to start your education in the art of the classic Flat White. Make sure to check out my 7 Kiwi-Approved Auckland Coffee Shops before you arrive. If you’re planning your trip to New Zealand, you may also be interested in my Ultimate Auckland Visitors Guide. Brilliant Blog – I think Tourism New Zealand should get you on board. As an Auckland resident, I’m really proud of this city and I think you’ve done a great job of capturing our best bits. Thanks for the read.